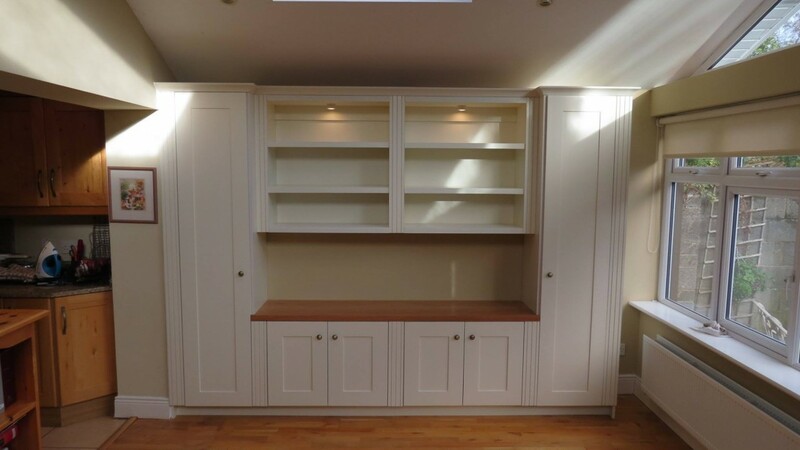 Coming courtesy of AD Woodcraft, a company that offers some of the best bookcases Dublin has to offer, this is the ideal bookcase for anybody who wants an orderly home. Its true beauty lies in the fact that most of the shelves are the same size; this removes any hard decisions about what books or other items would look best on what shelf, as in theory, any shelf will be as good as any other. The fact that it wraps around a corner means that it is well suited to any home where furniture can be awkward to fit. The attractive and straightforward finish of the wood means that it is an unobtrusive bookcase that will not pull attention away from the books themselves. 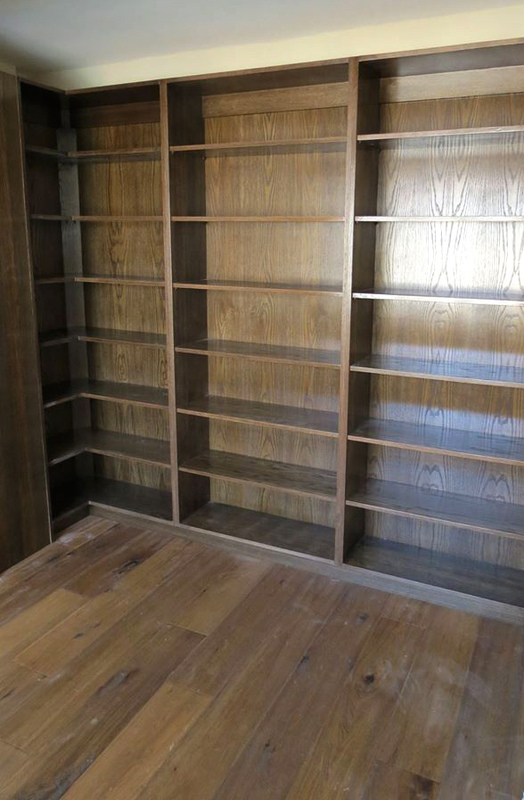 Here we have a bookcase where most of the individual shelves are different sizes. This makes it a good choice for anyone who wants a little variety: for example, certain shelves could be used for ornaments or other display objects while the others could be devoted to books. The long shelf running along the very top of the bookcase lends itself to displaying a wide collection of books; the smaller shelves, meanwhile, would be the perfect places to tuck in a little ornament or two. This is a bookcase that offers the best of both worlds. 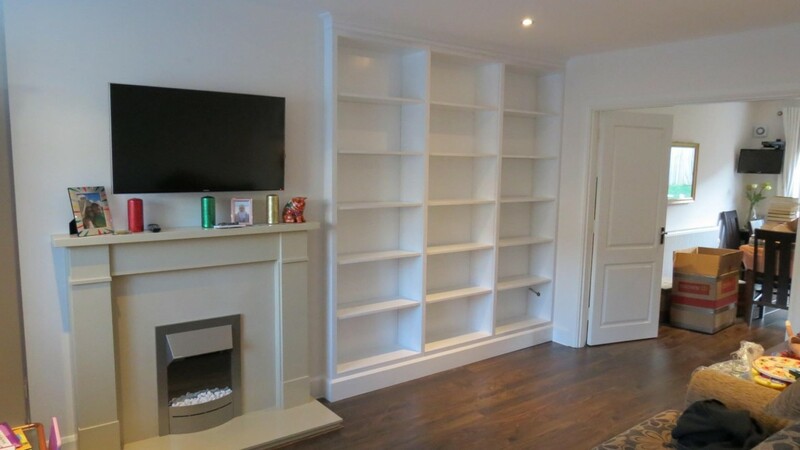 Most of the shelves are uniform in size, again leaving the owner with full flexibility as to how many books or other objects they want to place on each shelf, and how they want to organise the contents of the bookcase as a whole. Meanwhile, there is a single large shelf located at the lower middle of the bookcase. 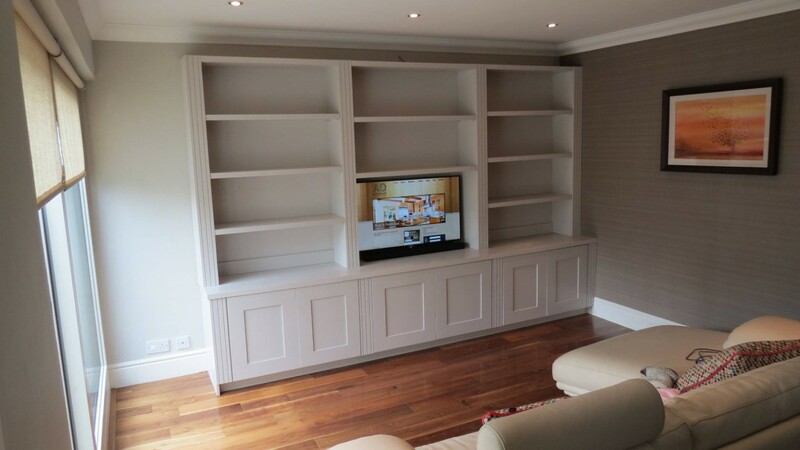 If the bookcase is located in the front room, this will be the perfect place to install a television set; it could also be used for larger books, or perhaps even an aquarium! This is very much a minimalist bookcase, with six evenly-sized shelves, designed to be slotted into a set of cabinets. The effect is immediately appealing, as it offers a way of fitting a modestly-sized bookcase into a neat and orderly household. The wide area below the bookcase offers plenty of potential: perhaps a television set could go there? Maybe a gaming system, with the cabinet below used to house games? It could also be used as a space for still more books or magazines, making the whole set-up fitting for part of a study. Finally, here we have eighteen evenly-sized and evenly-spaced shelves. 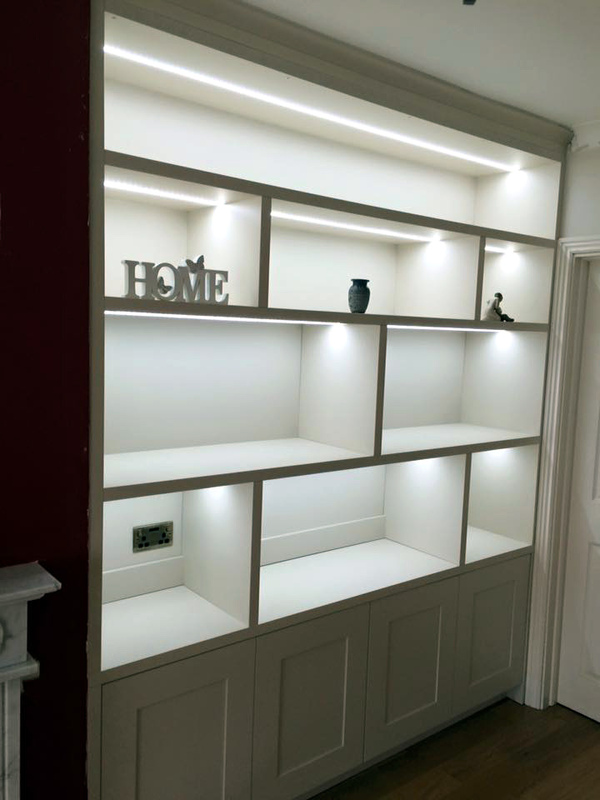 The owner will be free to choose how to fill up this bookcase, and any homeowner will be delighted at the chance to clear up their clutter into such a neat and tidy bookcase.